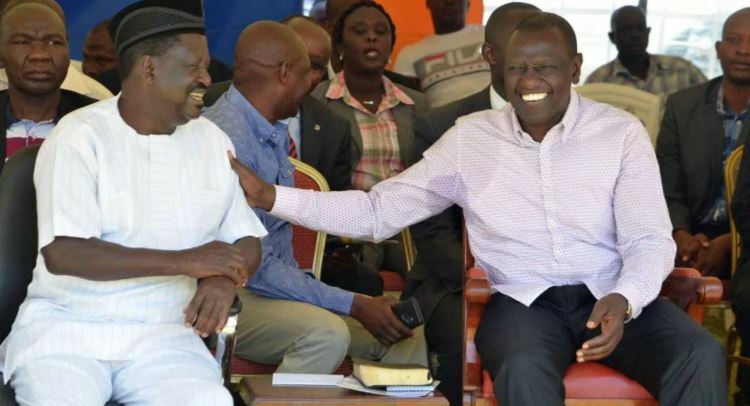 Raila-led ODM Party has launched a counter-strike against DP Ruto’s claims that their leader approached him four times before the March 9th handshake. “On a TV show last night, Ruto made a myriad of accusations against The ODM Party, and our Party Leader which cannot be left unchallenged. Among these lies was that the Rt. Hon Raila Odinga approached him four times prior to the famous handshake for purposes he did not disclose. This would be laughable if the accusation didn’t raise such grave concerns,” said Sifuna in a strongly-worded statement on Wednesday. According to Sifuna, there is no logic whatsoever in Raila Odinga approaching the Deputy President yet he (Raila) had contested in the 2017 elections against President Kenyatta. “Ruto’s message via Oscar Sudi was that he was the one in charge of the country and he wanted Mr. Odinga to work with him. Rt Hon Odinga asked his staff member to stop further contact with Oscar Sudi on learning what Ruto was up to. “But Ruto would not relent. He soon sent a female former powerful Cabinet Minister from the Rift Valley to Rt Hon Odinga’s home, with the same proposal to help tame “Uhuru and his people”. The said former Cabinet minister was to attempt this mission on at least four occasions. All these attempts were rejected,” said the ODM mouthpiece. “We do not consider the post by Edwin Sifuna to be ODM official communication… The incoherent, rabid juvenile rant by Sifuna is so ridiculously uneducated, spectacularly unhinged, desperately delusional that out of compassion, it must be forgiven and ignored. We don’t believe that ODM — even in its current dire straits — has fallen this low,” said Mugonyi.